The calendar has officially landed in October, with summer just a fading memory for most of us. 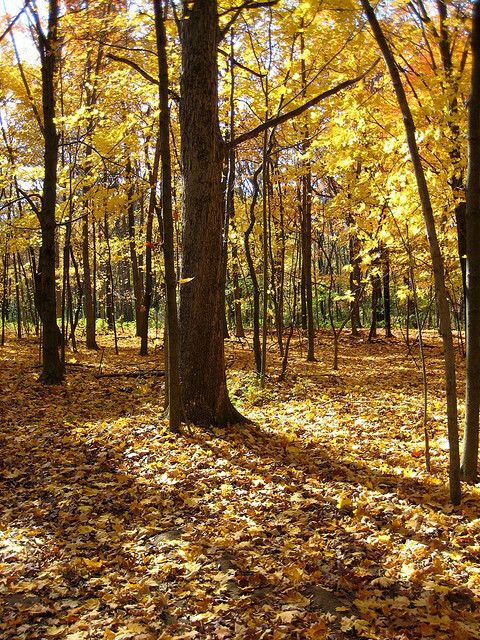 It’s time to get our autumn-colored glasses on and enjoy the beautiful weather and scenery in East Central Illinois. 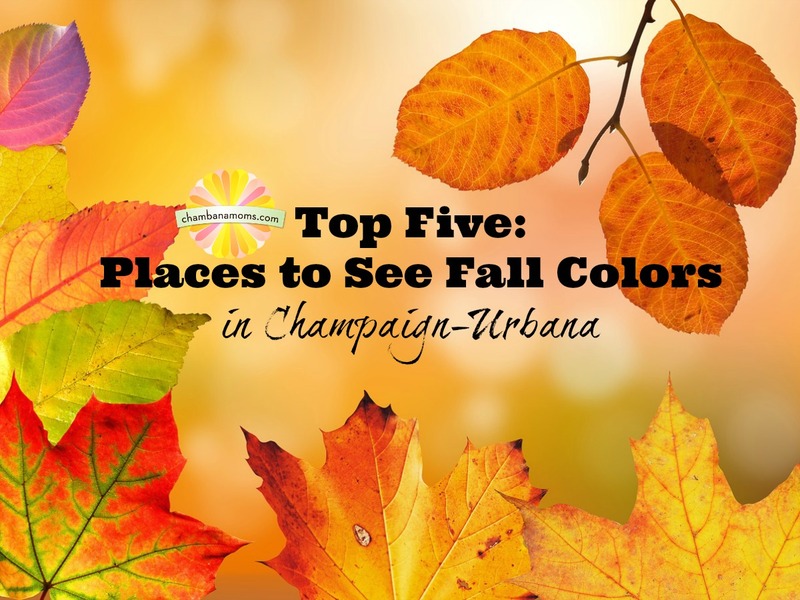 While we’re not the rolling hills of Vermont, the Champaign-Urbana area boasts several great sites to see the beauty of nature’s changing palette. Here are the editors’ Top Five places to see fall colors, with a bonus sixth site for your family’s optimum viewing pleasure. Meadowbrook Park, Urbana: Located just off Windsor Road, Meadowbrook offers not only a fantastic playground for the kids and a sculpture garden, it also offers access to old-growth trees and flower gardens where you can see how fall affects not only trees but other plants, as well. Allerton Park, Monticello: A favorite spot no matter what the season, Allerton Park offers a splendid array of flora and fauna in all its fall glory. Plan to spend a significant amount of time here, and maybe even bring a picnic lunch. A great idea for a date with your honey, as well as for exploring with kids in tow. Kickapoo State Park, Oakwood: Not much further away than Allerton but in the other direction. Head east to this gem of an outdoor palace. Great place to hike, boat, and even horseback ride as you look at the fall colors. Champaign County Forest Preserve District: These pieces of prairie and wild woods are right under our noses and over our heads. With five sites to choose from — Lake of the Woods, River Bend, Sangamon River, Homer Lake and Middle Fork River — there just has to be something near you. Each preserve offers educational activities and opportunities, nature walks, bird-watching, fishing and more for people of all abilities. 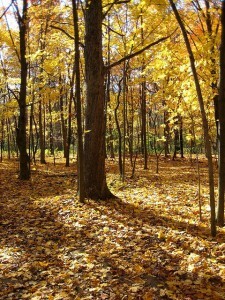 Oh yeah, don’t forget the golden, warm hues on more trees than you can shake a proverbial stick at. University of Illinois campus: Few things say “college” like the changing colors on campus in the fall. Take a stroll on the Main Quad, or walk down Lincoln Avenue to the Arboretum, which is full of a variety of trees on its 160-acre footprint. The U of I campus is one of the Top 10 College Campuses to View Fall Foliage, according to the website Accuweather. Where else do you like to see fall colors this time of year?